Posted November 26th, 2016 by Kirti & filed under AdWords Tips, PPC Audit. PPC account audit is a recurring task that helps refine your campaigns to meet marketing objective. Not only does it help you find areas of improvement but also identifies opportunities that were missed out while creating your campaign. This is a wide domain, so we have decided to bring out the key elements that you must necessarily check while conducting AdWords audit to spearhead things. In Part-1 of the AdWords audit checklist we cover the top things to look at under Account Structure, Campaign Settings and Tracking in AdWords Account. 1. 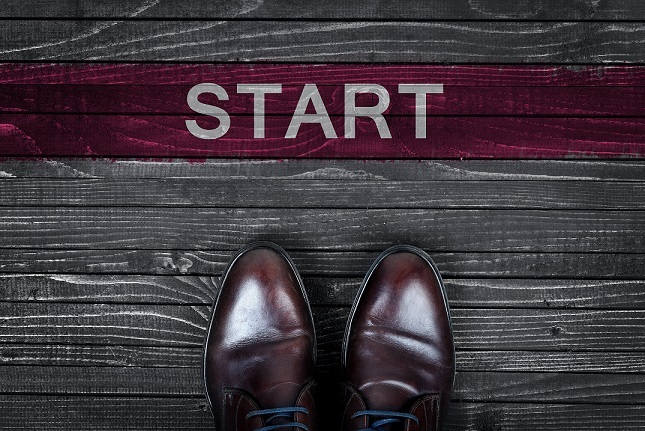 Is your account naming structure understandable? It is advisable to have a naming structure that clearly defines your business offerings and is easily traceable. Amidst so many campaigns and ad groups, a structured and ordered layout will ensure proper management of your PPC account. AdWords allows the account to be linked with other Google properties such as Analytics, Webmaster Tools etc. These two services by Google helps analyse your paid search traffic and how your ads perform vis-à-vis organic listing respectively. So re-looking at which of your accounts are linked and which ones you could link, might be a good option. 3. Are your campaigns properly structured? You must check if you have created separate campaigns for brand and non-brand keywords, different product offering or services, the advertising network options available etc. All this makes it simpler to draw an analysis on various parameters. 4. Are your ad groups segmented properly? For instance, you may have an ad group with broad match keywords to identify the prospect terms that customers search for. The other ad groups could thus be more directed and be assigned those select keywords under exact or phrase match type. Similarly, you might wish to judge whether you wish to have a separate ad group for keywords with higher CTR, single keywords ad group etc. All these strategies ensure an organized account and improved performance. Creating the right set of conversion actions will help you determine how well your campaigns are performing. For instance, an e-commerce website might be interested in knowing how many clicks to their ads eventually led to a purchase or a digital marketing agency might wish to define conversion as how many people viewed their product pricing page etc. 2. Is the AdWords Conversion tracking tag added to your website? To track your AdWords conversion actions, enabling the conversion tracking code is yet another important step to make a note of. You must check if the tag has been successfully implemented and functioning. 3. Is your Google Analytics account linked with AdWords account? Analytics can help get some deep insight of your paid search audience’s journey on your website. Thus, linking your GA account with AdWords is another pivotal item to check while auditing your account. 1. What ‘Campaign Features’ option has been selected? By default, AdWords selects the option ‘Standard’ which limits the options available. So, check for the same and edit it to ‘All Features’ to explore other advanced options that you could explore for your campaign. 2. Which device type is driving results? 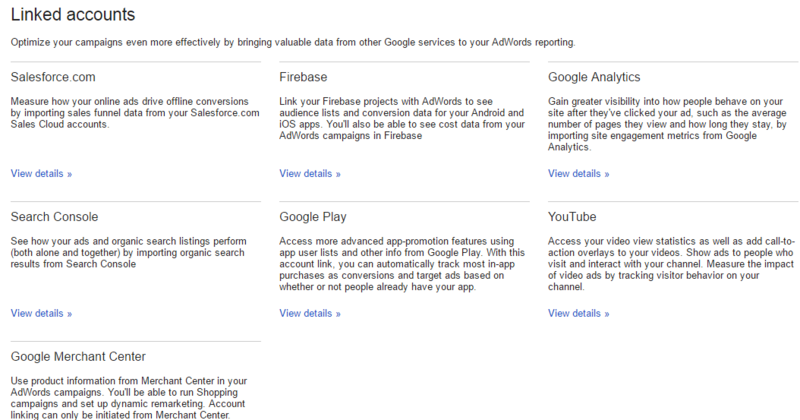 Again, by default, ‘All Devices’ is pre-selected by AdWords. It thus is advisable to review your device performance and determine which device is an over-achiever and which one isn’t. You can then accordingly alter your targeting as per device type or adjust bids or decide whether you should dedicate a separate campaign for it. 3. Which locations are your ads catering to? Consider checking your location targeting to ensure if your business is operational in all those locations or whether it is appropriate for your business offering. Simultaneously, check your Advanced Location Settings to check your targeting options and re-confirm if you wish to show your ads for only the select locations or anyone interested in the locations selected by you etc. 4. Have you set up Ad Scheduling? Ad scheduling schedules your ads to show during business operational hours or deliver ads during the time when the CTR is expected to be high or any promotional campaigns that you wish to schedule etc. 5. How are your ads being delivered? You must also check how you have opted your ads delivery, which can be viewed under ‘Ad Delivery’ option. How your ads are getting delivered might be affecting your ad performance. So, here were a couple of tasks that are not to be missed while auditing your PPC account. 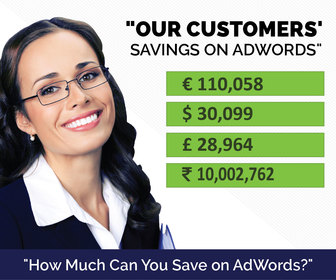 In the Audit series 2 we will pick up the other sections of AdWords and discuss about the top things to review in it. Watch out this space for the next AdWords Audit Checklist.